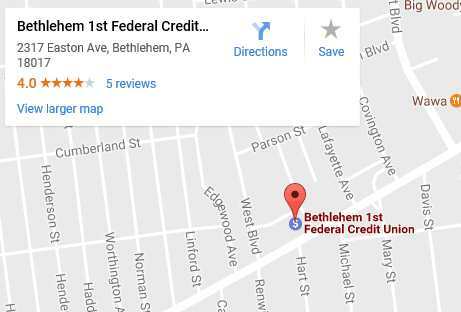 Bethlehem 1st FCU charges its members no fees for the first 8 withdrawals per month from Star and Plus machines. However, you may be assessed a service charge by the sponsoring bank at many ATMs. Check for signs on the ATM indicating that surcharges will be assessed. You should be warned about charges when you use the ATM, as well. You can use many ATMs—including those at most Wawa and Sheetz stores—without incurring a service charge.